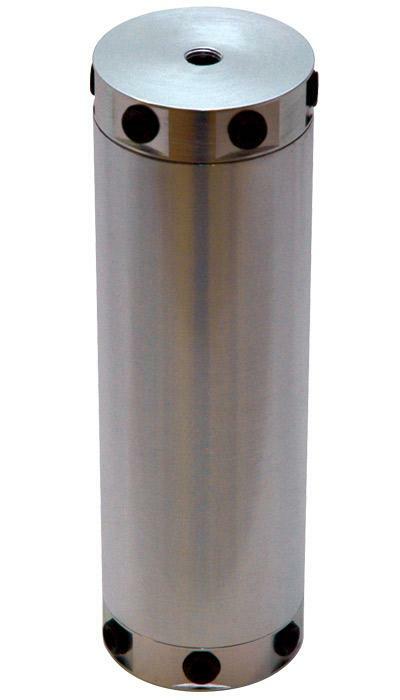 Vibrant’s new universal Aluminum Catch Can is the first to offer a “modular” design. The length of this catch can is fully adjustable to accomodate the available space in your engine bay. The can measures 3” O.D. x 10” Long but can be cut down to whatever length you wish. End caps are pressure fit to the catch can, allowing them to be removed so you can clean the inside of the can. The end caps come with 2 Viton O-Rings for a leak free seal. Suitable for various applications: Oil, Fluid (i.e. Coolant) and Vacuum. 16 Available ports, tapped for 3/8 NPT Fittings, provides the ultimate in flexibility. Plugs are included for unused ports. Unique Mounting Bracket Design allows for 360 degree adjustability. You can mount this catch can practically anywhere in your engine bay. Each kit includes 2 elbow fittings and a 10” length of clear tubing, allowing you to make your own fluid level gauge.